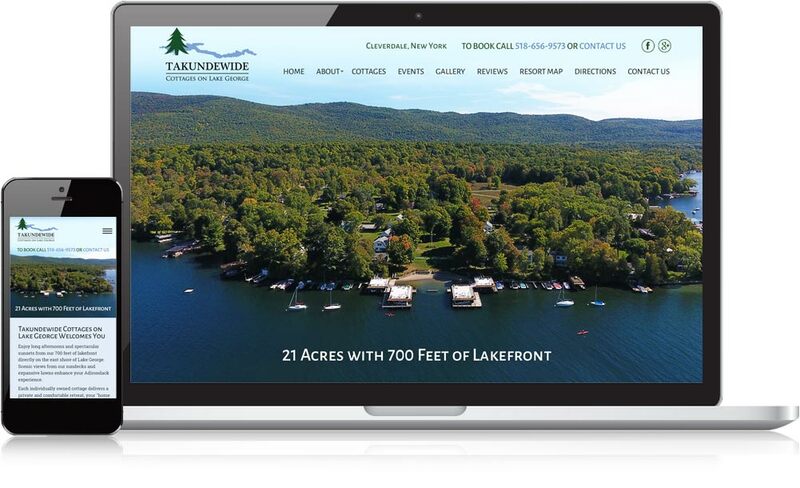 Takundewide Cottages - Mannix Marketing, Inc.
• Traffic from LakeGeorge.com TRIPLED!!!! • Traffic DOUBLED from organic search. Our gross rental revenue was up 8%. And our rental rate also improved—we were 100% booked from June 24 – September 6 and had a robust spring and a good fall. We actually had fewer properties to rent this year so we were expecting a small decrease in the rental revenue. However, our results surpassed our expectations. We found the process of working with your firm to create the web page very collaborative and obviously successful!